Videos featuring Rihanna, One Direction and Bruno Mars are, not surprisingly, among YouTube’s most viewed channels. Videos on physics? While some videos on physics have gained a cult-like following and hundreds of thousands of views, the subject that makes most people’s eyes glaze over still can’t compete with entertainers like Katy Perry in the YouTube world. That could change, however, thanks to an energetic young physicist who works as an outreach coordinator at UC San Diego’s Center for Astrophysics and Space Sciences and who uses her upbeat and sometimes wacky personality to communicate physics to the public on YouTube with videos that are not only informative, but also fun and cool. Earlier this week, Dianna Cowern was awarded the top video prize in a national science communications competition by the Alan Alda Center for Communicating Science at SUNY Stonybrook for her entertaining YouTube production explaining the physics of color. The award, given annually for the past three years as part of a contest called the “Flame Challenge,” was presented to her at the World Science Festival in New York City by the actor himself. 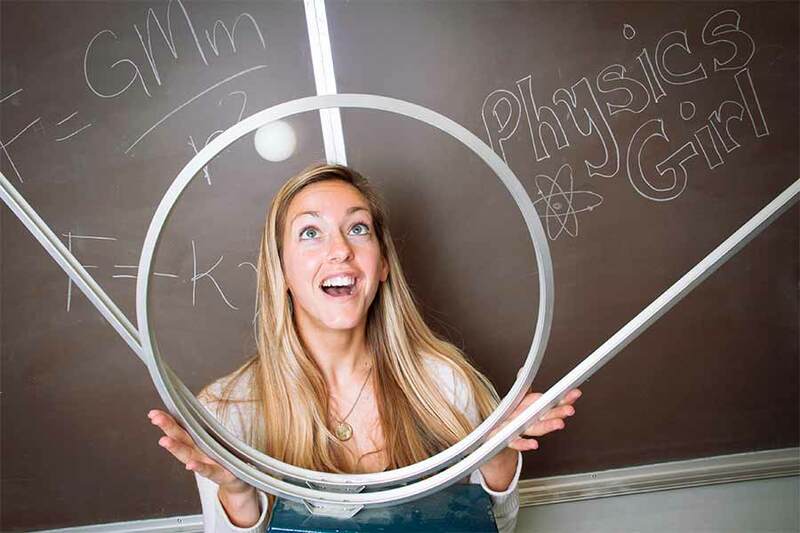 Cowern’s prize-winning video, which was voted for by 27,000 students from around the world, is the most recent post to her YouTube channel called “Physics Girl,” which she started on her own two years ago because of her passion to get more girls interested in science. As part of her day job, Cowern works with Adam Burgasser, an associate professor of physics, on developing “Beach Physics,” an innovative new program designed to get middle school and high school students interested in physics by teaching them about physics that happens at the beach (it’s a perfect fit for her, since she grew up near the beach on the island of Kauai). 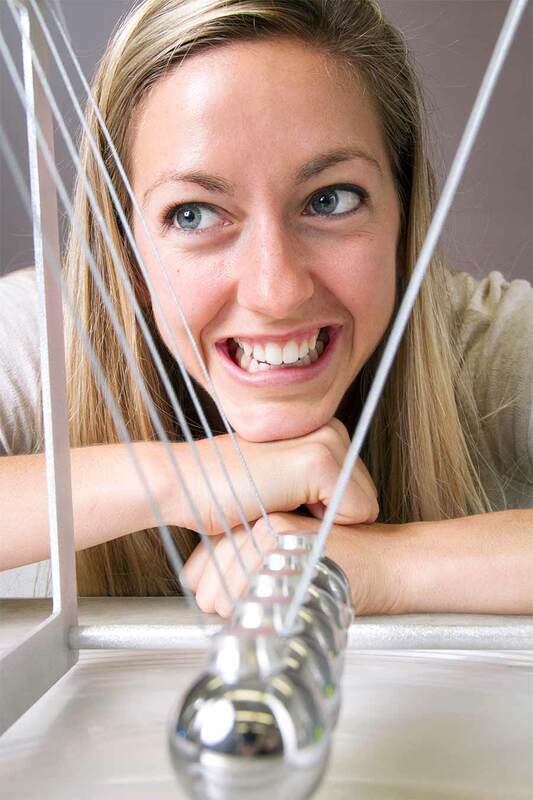 Cowern also sets up exhibits and demonstrations at science fairs and festivals, volunteers for UC San Diego’s Young Physicists Program and works at the Reuben H. Fleet Science Center Center in Balboa Park doing science education outreach. Cowern’s youth (she just celebrated her 25th birthday on what she calls “Star Wars Day” or “May the 4th be with you”), sometimes quirky humor and enthusiasm provide her with an obvious edge over most professors in connecting with younger audiences. But she’s no lightweight when it comes to science. 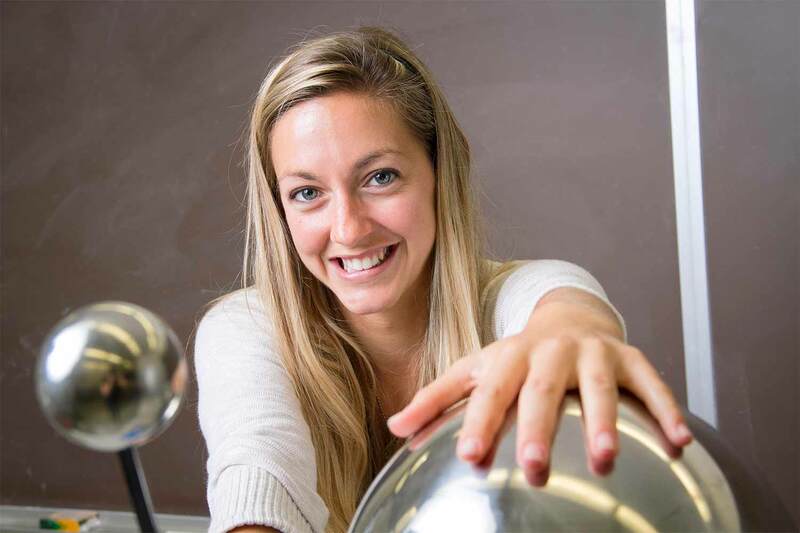 She graduated from MIT with a degree in physics, participated in a research project there on dark matter (the invisible stuff that makes up most of the mass in the universe), did research on low-metallicity stars at the Harvard-Smithsonian Center for Astrophysics after graduation, then spent time as a software engineer at General Electric in Foxboro, Mass, before making the move to San Diego to work with Burgasser, one of her former professors at MIT. Burgasser, who received his undergraduate degree in physics at UC San Diego in 1996 and was lured back to here from MIT in 2009, saw her first videos two years ago and was impressed. That’s when he offered her the job here. In a Big Way. Not many researchers her age have been invited to lunch with Alan Alda or been feted by famous scientists at the World Science Festival. So how does she feel now about not continuing as a research scientist? 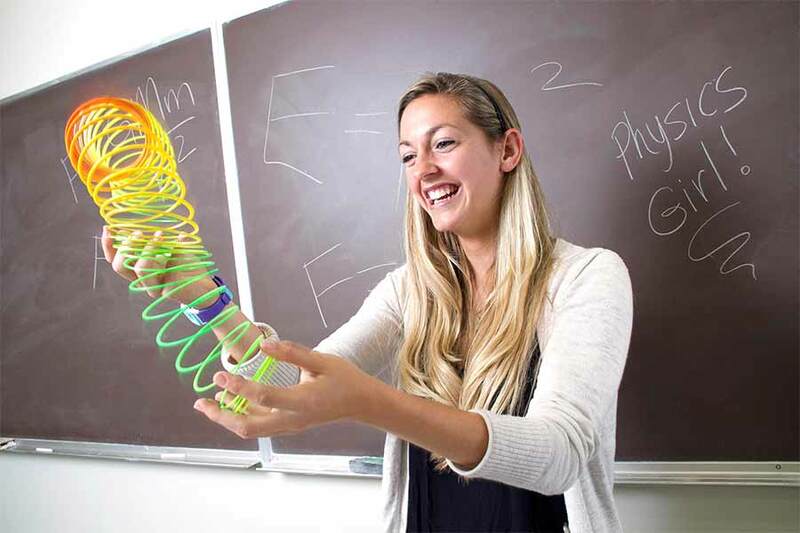 The project that she and Burgasser are focusing on right now, Beach Physics, stems from their love of the beach and their belief that it would be a cool way to get kids interested in physics without realizing they’re actually learning physics. Burgasser grew up in Buffalo, NY, and during his first week as an undergraduate at UC San Diego, bought a surfboard and proceeded to teach himself to surf at nearby Black’s Beach. “Eventually, I also learned I needed a wetsuit,” remembers Burgasser, who still keeps a board in his third-floor office of the appropriately named SERF building (it actually stands for Science and Engineering Research Facility). Burgasser, Cowern and their colleagues in the project had hoped to launch their online resource with videos and lessons that teachers can use, soon, but have been delayed because of lack of funding. Anyone interested in contributing to the project can contact Burgasser at aburgasser@ucsd.edu.